The research group of Pr Brousset explores the expression profiles and functions of microRNAs, snoRNAs and lncRNAs in hematological malignancies (including anaplastic large cell lymphoma) but also the interaction between non-coding RNA and RNA-binding proteins. Autophagy is an emerging cancer research field. Depending on the tumor context, it can harbor pro-survival or pro-death functions. Our research interest is to understand its status, role and regulation (in particular post-transcriptionnal regulation through microRNA and/or RNA-Binding proteins) in different ALK(+) primary tumors and cell lines. We specifically aim to: determine the role of autophagy, using classical autophagy assays, in ALCL, NSCLC and neuroblastoma cell lines and mouse models; test whether autophagy modulation can potentiate the efficacy of ALK therapies (targeted-, chemo- and immuno-therapies); investigate the regulation of autophagy by miRNAs and/or RNA-BPs. We focus on silencing of microRNAs by DNA methylation as mediators of drug resistance in NPM-ALK(+) ALCL. We have published that changes in microRNA expression and DNA methylation are causally involved in tumorigenesis of NPM-ALK(+) ALCL (Desjobert et al, Blood, 2011; Dejean et al, Leukemia, 2011). We hypothesize that hypomethylating drugs, alone or in combination with other agents, may benefit ALK(+) patients harboring tumors resistant to chemotherapy or to anti-ALK tyrosine kinase inhibitors (Hoareau-Aveilla, JCI, 2015). Using NPM-ALK(+) ALCL cell lines, a transgenic mouse model of ALK dependent lymphoma (Giuriato et al, Blood, 2010), murine and patients NPM-ALK(+) xenograft models and primary tumor samples from NPM-ALK(+) ALCL patients with or without relapse, we aim to: define microRNA and DNA methylation signature-mediated drug resistance in ALK(+) ALCL; identify new oncogenic mechanisms and microRNA targets depending on epigenetic regulation and assess the clinical relevance of these alterations to propose new therapeutic strategy in resistant ALK(+) ALCL. The main interest of Dr. Inghirami’s laboratory involves the molecular and biological characterization of PTCL, in particular, Anaplastic Large Cell Lymphoma (ALCL). A major effort has been devoted to the development of innovative in vitro and in vivo models to test new compounds and preclinical protocols.The development of a functional genomics laboratory and more recently of a hPDT mouse facility led to the discovery of the several molecular mechanisms leading to Anaplastic Lymphoma Kinase – driven lymphomagenesis and to the discovery of targets which could be explored as sensitive molecules for innovative tailored therapies. Moreover, the transcriptional characterization of a large panel of PTCL has provided novel insights to the origin of ALCL and a diagnostic classifier for routine clinical analyses. Molecular cytogenetic analyses have recently identified a high-risk group of patients, supporting the rationale for the implementation of tailored up – front therapy for naive ALCL patients. 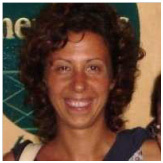 Lara Mussolin, PhD, is Assistant Professor at Department of Women’s and Children’s Health, University of Padova, Italy. She is responsible of molecular diagnosis of NHL of childhood for all national AIEOP (Associazione Italiana di Emato-Oncologia Pediatrica) centres. She is member of the EICNHL (European InterGroup of Non-Hodgkin Lymphoma) Group for the study of Minimal Residual Disease in Non-Hodgkin Lymphoma (NHL) of childhood. She directs a research group aimed to identify new prognostic biomarkers in paediatric NHL.